The H650 On-ear Headphones are diversified to match your style. H650 On-ear headphones concerns itself with the holistic experience of the user. Edifier H650 Headphones - Hi-Fi On-Ear Foldable Noise-Isolating Stereo Headphone, Ultralight and Tri-fold Portable - Black. The H650 On-ear Headphones are diversified to match your style. H650 On-ear headphones concerns itself with the holistic experience of the user. 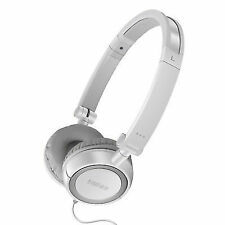 Edifier H650 Headphones - Hi-Fi On-Ear Foldable Noise-Isolating Stereo Headphone, Ultralight and Tri-fold Portable - White. Edifier is an adherent to quality Bluetooth sound. Utilizing Bluetooth v4.1, encounter low latency streamable sound. A standout amongst other things, Edifier is known for is giving quality comfort in addition to bass beating quality sound. 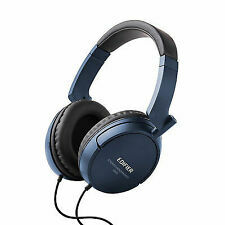 Bewildered with headphones that are shabby and aren't endeavored to last?. The W570BT headphones may have a lightweight feel but are more durable than most competitors. The wired line of the W570BT is made of materials that are tough, flexible, and pull safe. Edifier P220 In-Ear Earbuds Headset. 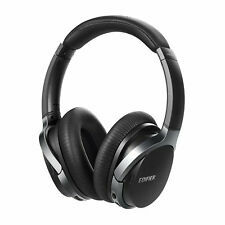 EXCEPTIONAL ACOUSTIC AUDIO QUALITY - Find exceptionally high-quality audio from playing your music from your phone and other audio players with these headphones. PREMIUM NOISE-ISOLATION - Reduce all outside noise with these earphones. Don’t settle for cheaply made wireless headphones. The W855BT brings you the sound you love from Edifier to an all-new luxurious style. The padding fits your ears and feels just like laying on a pillow. The battery life of the wireless Bluetooth headphones lasts for7.5 hours of persistent sound playback. Experience freedom from wires with the W285BT. The 9mm moving loop units are particularly tuned to give a fun and engaging sound. The Edifier H840 Studio Monitoring Stereo Headphone is an incredibly low priced entry-level stereo headphone. These headphones are engineered to give you the most life-like audio quality. These headphones are made with an around-the-ear closed back design, which amplifies the effect of these noise-isolating headphones. Edifier is known to have a bumping bass sound perfect for modern music and genres such as pop, hip hop, and more bass heavy tunes. 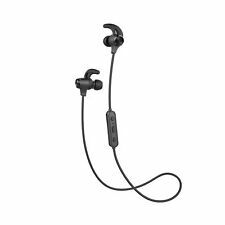 The W296BT earphones let you enjoy bass heavy music during workouts. The W860NB uses Bluetooth v4.1 for an absolute lossless wireless experience keeping the quality of sound comparable to a wired connection. Qualcomm AptX CD-Quality. Equipped with aptX codec technology wireless audio has achieved a higher level of audio playback that has not been possible before. Adjust the headband’s tightness by bending out or bending in the headband. The W820BT has adjustable sides to fit the shape of your head to reach ideal comfort. Listen for 80-hours straight with Edifier’s headphones. The W360NB has a worked in active noise-canceling feature (ANC) to eliminate outside noise and place an emphasis on the music at hand. Having two smartphones or PCs that you every now and again swap between?. Get ready to listen to music with exceptional bass response. Edifier gives you audio with a bass resonance to get the party pumping in your ears. Waterproof and Sweatproof Earphones. Dual Battery Extends Life. Edifier W670BT. Bluetooth Foldable On-ear Headphones with Inline Mic/Remote. Used for less than 50 hours. Edifier H850 headphones are at the top of the line of Edifier's headphone lineup. They have a classic yet eye-catching design and an overall excellent audio reproduction. The H850s are closed back headphones and are well received by many enthusiasts as having audiophile quality. The H190 ear buds are the most ergonomic and durable headphones to date. So comfortable that you will forget you had them in your ears. The H190 headphones have a strong durable cable that is both pull and tear resistant. New, in an opened, slightly damaged box. Enriching bass response has helped ensuring that the best beats at the latest clubs play eloquently through these wired headphones. Having a comfortable feel is equally important as audiophile sound quality. 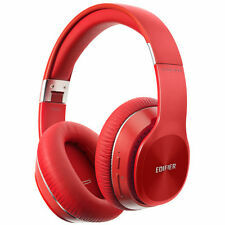 Edifier W800BT Bluetooth Headphones - Over-The-Ear Wireless Headphone, 35 Hours Long Playback, Lightweight - Red. 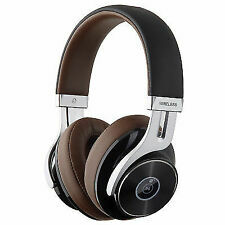 The W800BT is a set of impressive wireless headphones. W800BT FEATURES. If you run out of power, easily switch over to the wired option for your headphones using the included 3.5mm to 3.5mm AUX cable. 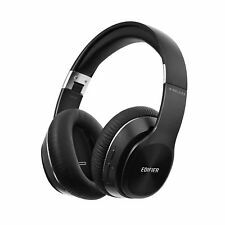 Edifier H840 Audiophile Over-the-ear Noise-Isolating Headphones - Black. Condition is New. Shipped with USPS First Class Package. These also have NFC functionality that allows sync by holding the NFC device to the headphones. The W675BT is accessible in four unmistakable hues to choose from. Cool Blue, Cherry Red, Classic Black and Snow White. USB CONNECTION – Connect to your computer or laptop through USB connection. LED LIGHTS – Show off your gaming gear with cool LED lights that are available in either green, red, or blue. VIRTUAL SURROUND SOUND – Built-in 7.1 Surround Soundcard lets you pinpoint positions and hear in every direction. We have made our H840 headphones even better! The P841 headphones are the most comfortable fit you will achieve without sacrificing sound quality. Baffled with earphones that are shabby and aren't worked to last?. Match two diverse Bluetooth gadgets to the W295BT Plus so you don't need to unpair and re-combine continually. Switch between your smartphone and your PC reliably with our headphones. The W295BT Plus has customizable fold over wire headphones. All the accessories for refurbished phone were made by OEM,and the phone doesn't have original box. Usually our battery would be up to 80% of standard. It is normal when you receive phone which is not full battery.